This is a very interesting article that highlights many of the legal facts that we may see used this coming week as patriots rise to action in America. Of course, this action also will align with spiritual folk who KNOW that both truth and Love prevail as humanity’s shift in consciousness happens! The Awan Scandal. By Paul Serran. 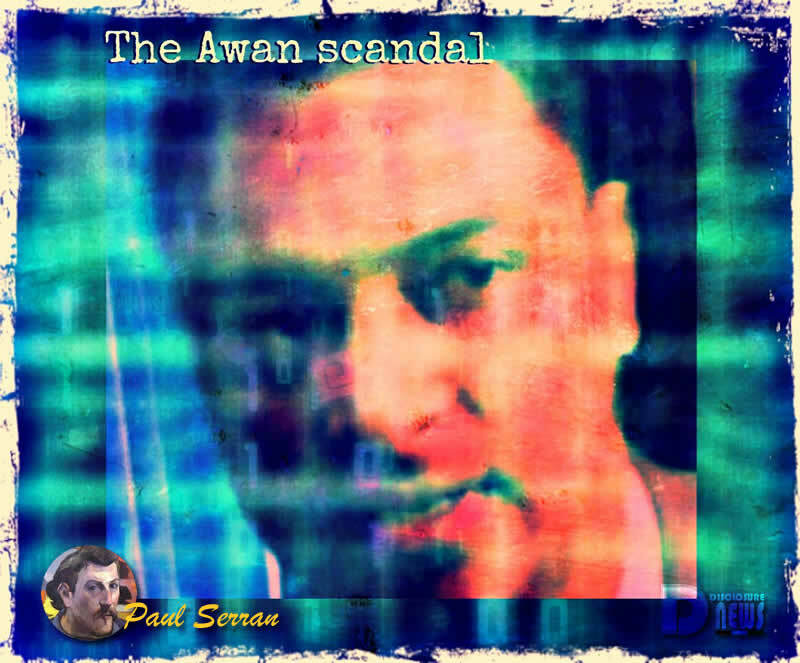 A #QAnon thread about The Awan Scandal. Let’s remember drop 674, where Q asks to keep public interest high on this and other HOT topics. This seems to be happening right now, with POTUS asking the DOJ to tackle the Democratic IT scandal, Awan and Rep. DWS. This article also release the bombshell news. The Awan case, that had been dormant since October 2017, will have a plea deal in July. If you flip a big treasonous operator, he can hand you a big player in the organization, like DWS. And if you have the big player in your grip, he/she can give you THE BIG GODZILLAS. …and, of course, we are all about the Godzillas. We didn’t come to #TheStorm to catch small pakistani tech guys. WE want the “gojira”! Immediatly, as early as drop 77, Q lets us know that Awan is Muslim Brotherhood. In subsequent drops, Q always points us to the 3 main MB operators in the US government: Huma, Awan, VJ. Huma, Awan, VJ are the main operators amongst the many MB infiltrators. When this other MB infiltrator linked to No Name was outed by Q, he was said to have ties to Awan. While Awan and Huma are having deep legal troubles, right now, VJ is still free to cancel the most popular TV show in America with a snap of her fingers. But the “nose dive” for MB has already begun with the Saudis banning it from their schools. The excellent investigative journalist @lukerosiak has written many pieces on the Awan scandal for The Daily Caller, and we are going to take a close look at four of these. The first piece establishes just how deeply the present-day California state AG is linked to the affair. The Awans logged illegally the D’s Caucus server SEVEN THOUSAND TIMES. YES. SEVEN THOUSAND TIMES – reading and removing information from as much as 40 democratic house members. DWS was “casual” about it, says Donna Brazile. Xavier Becerra seems to be the most implicated in all that. And Becerra can give us the Big Godzillas. YES: The Gojiras. e came to the storm for the big monsters, and we will not lay down arms until the Gojiras are all brought to justice. THAT IS WHAT MATTERS. This other great news piece by @lukerosiak talks about the conclusions from the House investigation o the subject. This spying gig was booming – so apparently Awan had to get ALL his family in the game. They used 17 different log-ins in “anomalous ways”. This CLEARLY breaks the law. No two ways about it. The swamp police, of course, is perfectly unwilling to prosecute the matter. Numerous IT aides would like to help the investigation. This, of course, is not needed if the DOJ has flipped him. Finally, @lukerosiak writes about the DWS reaction to the House investigation: she is very scared. BUT – apart from the details of his own operations, in what other ways can Awan be helpful to the broader investigation? Q makes a direct quotation here in this drops of Awan’s work being part of a treasonous plot with Pakistani INTEL that would have eventually handed to the BHO administration the head of Bin Laden. I think it all means that Awan can eventually lead us to the Big Godzillas. That was “The Awan Scandal” for today. This entry was posted in Uncategorized and tagged Aman flipped, Awan Scandal, Disclosure News Italia, DWS, Huma, love, Muslim Brotherhood, Pakistani IT aides. Bookmark the permalink. Did/Do the women in harems in Saudi Arabia, the Middle East, and so forth get to keep and raise their male, or otherwise, child/children? Also, did they “throwaway” untimely sheikhs? Taking notes and going to watch for the fallout!